Just an update the minor clunk is just a little bit of play in the drive shaft spline where it goes into the diff, nothing to be worried about. Otherwise it all seems pretty solid under there. Suspension and bushes all pretty much all been replaced 10 k ago so shoukd be fine. Pretty sure it's drive train related. Cool I am going to get the car up on stands in a couple of days to change all the oils so will give the whole drive train a good going over then. A lot of overseas forums talk about a normal drivetrain lash in these cars but I just want to be sure. Dakar Yellow, picture embedded above. I have checked most stuff, I'd be keen to have a drive in another as I have owned numerous e36s but this is my first M3. There is much conjecture on Internet forums about what is normal. Probably should start a new thread but I am interested to know what oil you guys are running in your transmissions and if you have what I think is "drivetrain lash" basically some clunking coming on and off power in lower gears. Mine is just coming up 195k still in mint condition. I am in auckland would be defn keen to catch up sometime have a look at some others and talk to some other owners. Just found this post. This car it is mine, brought it a few weeks ago. Few little things to sort out but otherwise very happy. No it is definitely an alarm. I found the siren when I had it on the hoist changing the fuel filter the other day. Apparently the internal batteries can go flat and the siren stops working. I plan to pull it out when I have some time and fix the level function on the light at the same time. OK so further to this. I have been searching the net looking for answers and have fault found the car. It seems it is definitely an alarm of some sort but I don't have a separate fob and I have not yet located the siren. But I have the hood microswitch. If I open the hood, and then hold the microswitch down Ie simulate it closed then lock the car it locks and then when I let the switch up Ie (simulate open) the lights start flashing and I can hear relays clicking over by the fuse box. I have read all sorts of things about possible flat batteries in the siren etc, either way I will be pulling the RH light out soon to see if I can find the dame siren. If anybody has any good gen let me know otherwise I will keep the forum posted. Why does it work with the key and do I need a separate fob? 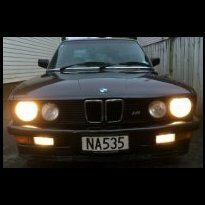 So I pulled out the sunglass console yesterday on my NZ New 1998 328I Motorsport and I disconnected a plug that was wired to a LED with a brown cover (beside the ASC switch). It has not worked since I owned the car which is only a few weeks. After I reconnect and lock the car now the led is flashing - good news maybe I have an alarm. It would be a 3G Mk 2 if I did. Funny thing is I get no noise or anything when I lock or unlock the car. I have the three button key remote. So I have done a search of most of the forums to see if I can figure it out. I am not near the car now so can't check for a siren but does anybody else have this led with the brown cover and if so - is it an alarm or just a light to say the car is locked? Well I have emailed the guy and will see what he says. Freight is the killer on these things its was like 50 bucks US to ship to NZ. When you only pay 180 USD for the radio it makes it a pretty expensive problem to rectify but still cheaper than a new amp. The guy is like an EBay store so I will see how I get on, if he will send me the correct one free of freight charge than I might just try and sell this one on TradeMe. Chances are I will not get my money back tho. Thanks for the help fellas. I guess the other option is to get another (correct radio) from EBay and sell that one. Great thanks for your help. I am going to email the guy in the USA. I am a little bit unhappy. Here is the one I bought off ebay. http://cgi.ebay.com/BMW-99-01-E46-M3-328-3...1QQcmdZViewItem Note that in the picture there are two antenna outputs. I checked this before I bought it. And then it turns up and I have this problem. Do you know where can I get either the adapter or amp in NZ?